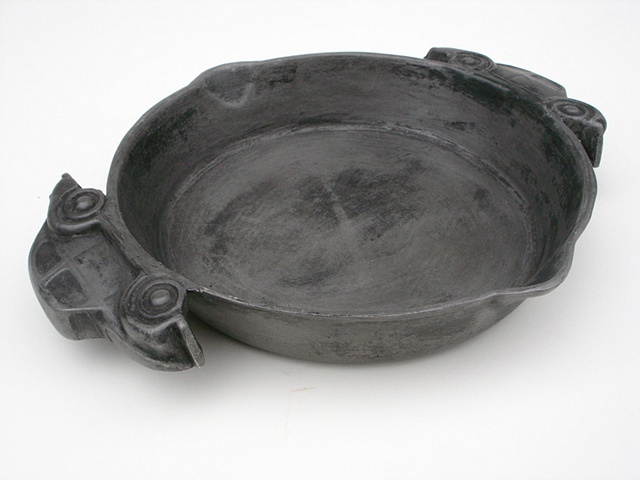 3" X 12" X 9"
This pan is actually not suitable for cooking, since it is cast aluminum, but functions as a bowl. The handles are made from a larger VW bug toy that I split in half and attached to the sides while the piece was still in the wax form. The finished aluminum is treated an "aluma-black" coating, that is brushed back, waxed, and buffed.